The Minnesota Vikings are an American football team based in Minneapolis, Minnesota. The Minnesota Vikings are one of the most recognized teams in the NFL. We established a partnership with the Minnesota Vikings that spanned a 6 year period. 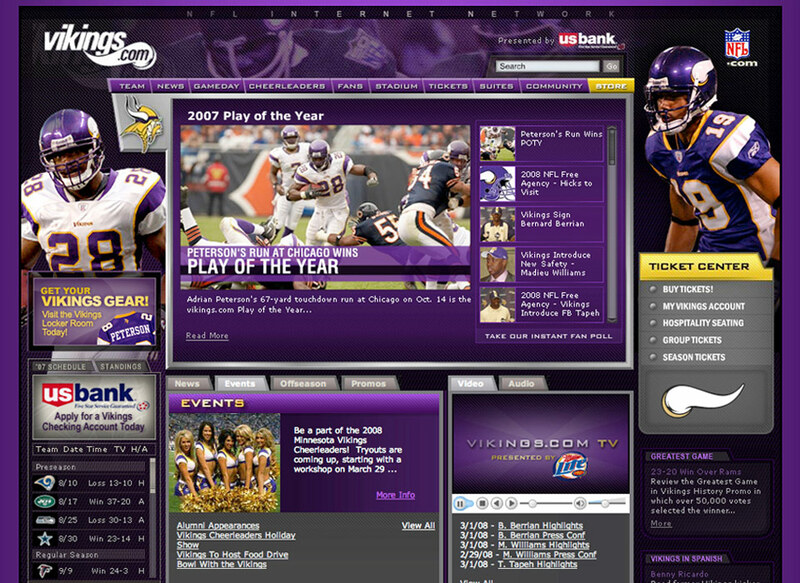 During that time, we were responsible for the majority of the Vikings’ online communication, which included microsites, HTML emails, splash pages, and banner ads. 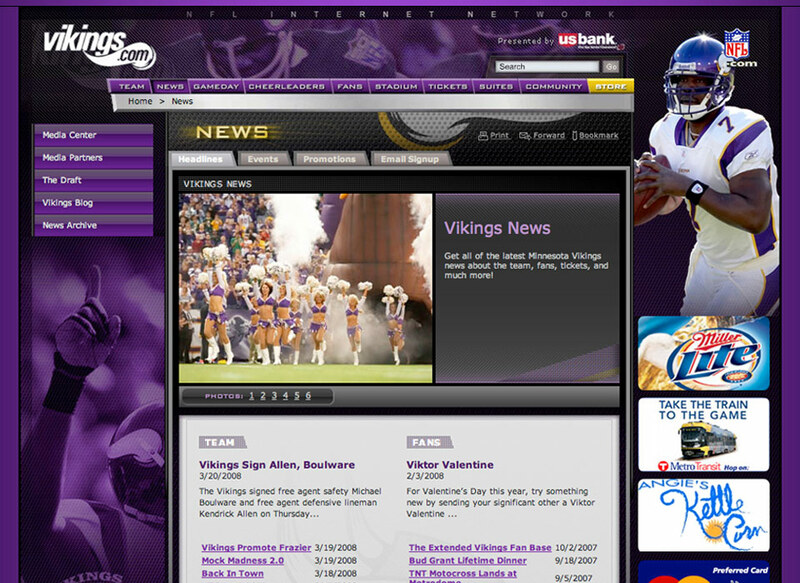 We also produced radio ads, print collateral and banner ads, and we redesigned Vikings.com twice. 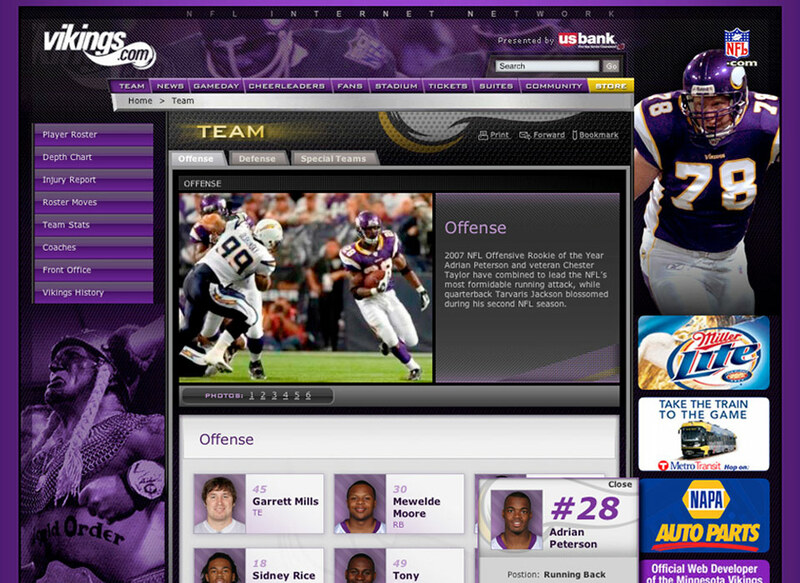 The most recent website redesign featured an interactive player section with photos and detailed player bios. Visitors to the website could also explore the interactive player depth chart, check the upcoming team schedule, read about team news & events, explore the team cheerleader photos & bios, read the team blog, learn about the stadium and purchase tickets. The award-winning site increased traffic three-fold and average visit duration doubled. We also hosted the website for five years at our tier 1 data center. The website was built on our proprietary content management system.